In the cold months, the bug population tends to die down. However, there is still a need for winter pest control among the residents of the Jacksonville, FL area. Since our area does not get as cold as other parts of the country, we deal with insects all year long. There are some pest problems that we deal with specifically because of the cold weather during the winter months. You can expect to deal with several different pests during this time of year. 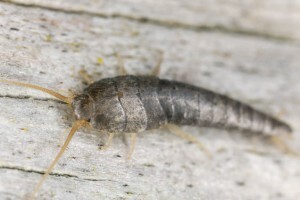 Silverfish - Silverfish have long antennae and a split tail. They are a silver or grey color. These bugs are attracted to many household items, such as glue, sugar, and paint to name a few. Carpenter Ants - These ants don’t bring as much damage as termites to your home, but they will make their nests and excavate through the wood. Flies - Since we live in a warmer climate, flies can be problematic over the winter months. Flies carry diseases that you do not want in your home. German Roaches - Roaches carry diseases into your home. They crawl over surfaces in the kitchen and are harmful to your health. Bed Bugs - Bed bugs hide around your bed and feed on you when you least expect it. A sign that you may have an infestation is an abnormal itching or rash in the mornings. Squirrels - Squirrels are in need of food during the winter months. They also seek refuge from the cold weather. This is why they look for shelter to protect them from the elements during the cool months. Rats and Mice - The minute it turns cool outside, rats and mice make their way indoors. They are in search of food, water, and protection from the cold. If you are dealing with any of these insects and animals, then you are in need of our professional winter pest control program. It is important to keep control of these pests in the winter to help keep the problem from getting out of hand when spring comes. We offer winter pest control programs designed for the winter weather in the Jacksonville area. Whether you are in need of winter bug prevention or traps set out for annoying rodents, our team has the expertise to help you hand any of your winter pest control needs. With our years of experience and technical expertise, you can rest assured that your concerns will be taken care of. Contact us today to set up an appointment to rid your home of common winter pests.